Warren County, Missouri; April 2000. From J. Mark Fiegenbaum; all rights reserved. 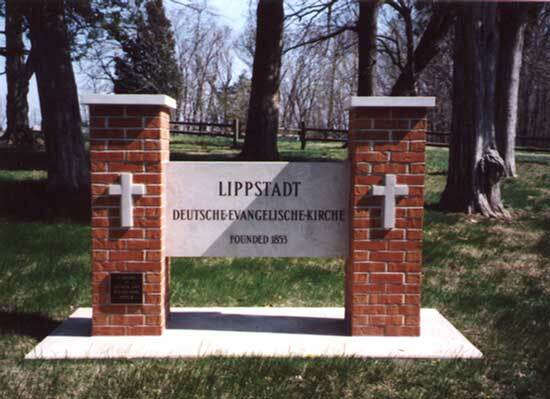 A German Evangelical congregation was organized at Lippstadt, four miles south of Warrenton, shortly after the Civil war. 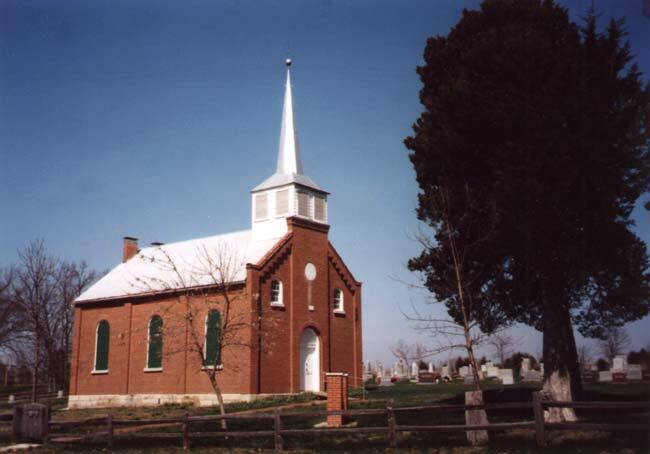 The first church was a log structure, but in 1877 a fine brick building was erected at a cost of $4,500. The congregation had its own pastor for many years, but is now being served by the pastor located at Warrenton. Source: A History of Northeast Missouri, edited by Walter Williams (Chicago, Illinois: The Lewis Publishing Company, 1913), volume 1, page 667. 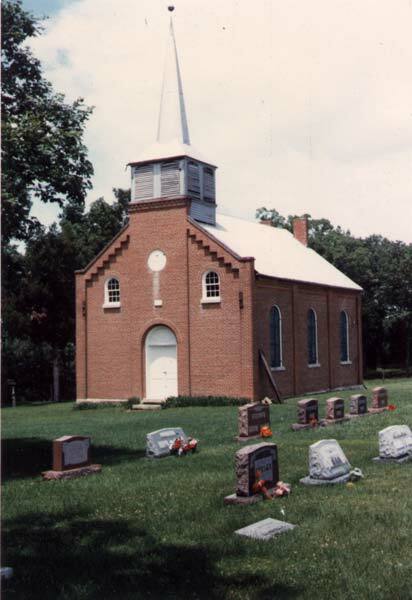 The church is located in South Elkhorn Township off of State Highway 47 about 4.8 miles south of the highway's intersection with Interstate 70 in Warrenton, Missouri.